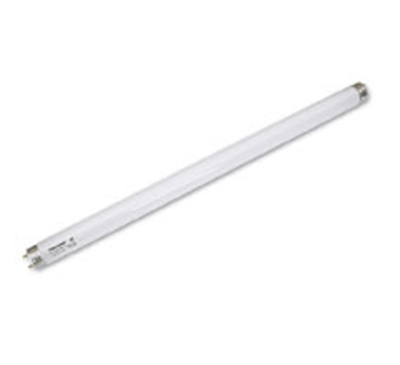 in white or stainless steel. Coverage 80 sqm. 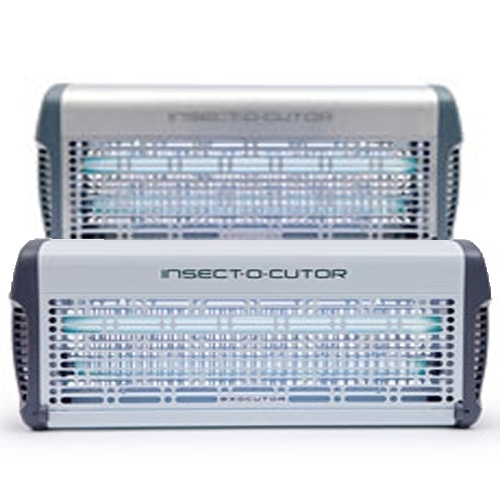 Available in stainless steel or white finish, the contemporary design of the products ensures that they are easily identified as high quality Insect-O-Cutor brand products, whilst the carefully crafted, innovative product features deliver superior efficacy against traditional flykiller products. The Exocutor range is full of features designed to maximise useful UV light output, from the internal aluminium UV light reflectors, designed to re-use the powerful insect attracting wavelength of the Philips BL 368nm tubes, to the unique light scoops which allow light to exude from the corners of the unit as well as the front, back and sides. 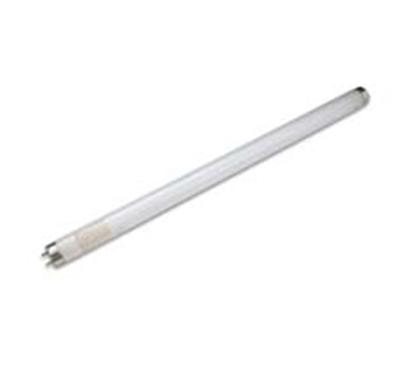 Staggered tube positioning ensures that the maximum amount of UV light is radiated from all areas of the unit, luring flying insects into the highly effective triangular killing grid. Exocutor 30 Watt Flykiller Stainless Steel. Synergetic 15 Watt 18" Green Flykiller Tube.